Ended up in here on a recent Thursday night at about 9pm. 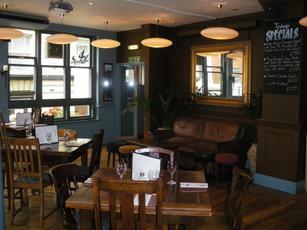 It's all bare floorboards and feels more like a bar than a straightforward pub. Fairly busy, but not rammed. Mostly office workers, but that's not surprising as it's so close to Charing Cross station. Tried the Greene King IPA, which was fine. There were a few other ales on. We had some chips as well, which were quite nice. Staff were friendly. I really ought to hate this place, but it does serve a purpose on a Friday night when you are waiting for a train at Charing Cross and all the other pubs in the area are absolutely rammed. It is on the small side with limited seating space, meaning that most of the customers end up out on the street (whether they are smokers or not). It also has an annoying split level layout with a couple of steps between door and bar to catch out the unwary. 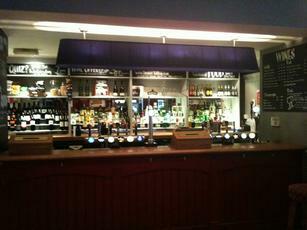 The bar itself is split into two parts, the main lager dispensary which is where the staff are, and a smaller section to the left-hand side which has four handpumps. Ale selection is mainstream - but well-kept in my experience - with Greene King IPA, Youngs Ordinary, Doom Bar and Spitfire (�3.15) available at the moment. It's only features of note are the unusual ledges on the pavement side of the windows which are ideal (whether by design or accident) for setting your pint down if standing outside. What a find! Almost hidden in one of the back streets off the Strand, this place is a real gem. 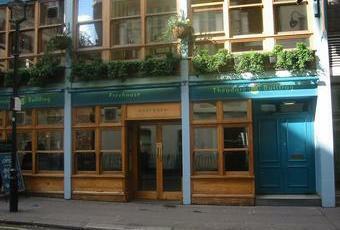 I met some friends in there recently who work in the area and know the pub well. It was early evening, there were a lot of people drinking on the street outside enjoying the first spot of summer. We got a table inside. I was pleasantly surprised by the real ale selection, there seemed to be some sort of festival on, the pint of Dorset Brewery Ammonite was excellent. They also had Sharp's Doombar and Shepherd Neame Spitfire. The pub has a good selection of draught lager too, including the Portugese Sagres, not found in many places. 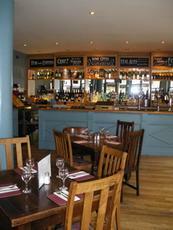 The staff were very friendly and seemed to have a good bit of jolly banter going with the customers. Although we didn't eat, the food looked pretty good, especially the burgers. Backgound music was brilliant, a bit of Pearl Jam, Kings of Leon and Foo Fighters mixed up with Groove Armada, Florence and the Machine, a real good mix of stuff. Considering how close this is to Charing Cross, I'm surprised more people don't know about this pub, but at the same time some places are best kept a secret from the masses! Will definitely be going back. Agree with previous posters ... feels like a typical 'close to train station' bar - after work crowd sinking a few before going home. Doesn't open Sunday's. Bit dull really. 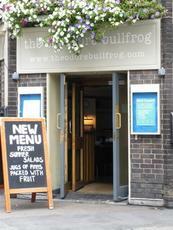 Hidden away somewhat round the corner from Embankment tube station is the rather uninspiring Theodore Bullfrog. Knowing the bar was in the vicinity, I am a little surprised it has taken so long to finally pay a visit, but nevertheless, this past Friday I ensured that changed. A dull, uninteresting and incredibly unspectacular frontage leads into a split-level, bare-floored bar, with very little of interest to engage the wandering eye. Here really is lacking on the decorative front. There was, as expected, music, though be it, of a middle-of-the-road anonymous nature. 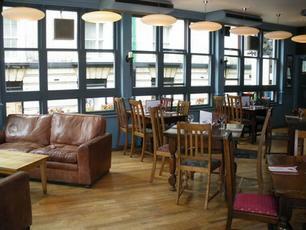 Within, a chalk board proclaims that Wednesday is �Quiz Night� and - for those interested - starts at 7pm. Fellow clientele on my early-evening visit consisted of nearby office suits and secretarial dolly-bird types � the atmosphere was slightly raucous. There are in fact, two bar areas. One larger bar displaying a half-decent array of continental lagers - Budweiser Budvar and San Miguel amongst those spotted - and another, with a set of hand pumps. Disappointingly, the choice was a little mainstream: Bombardier, Spitfire, London Pride and Adnams Bitter - though the latter was admittedly served in top-notch condition by the friendly barmaid. All staff observed were seemingly, both amiable and hardworking. To conclude: Overall, this establishment is far too lacking to warrant a return visit from this reviewer, though there is nothing inherently wrong and evidently, such places suite many.